After diving into a documentary last night, I wanted to finish off 2016 with one of my favorite movies of the year and a movie that everyone should see. What is that movie? 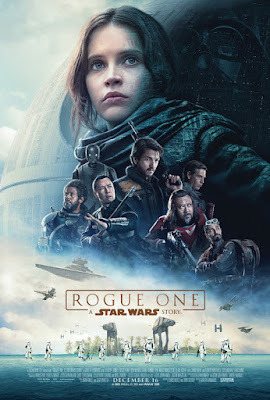 It is arguably one of the best movies to be released all year, Rogue One! Plot/ All looks lost for the Rebellion against the Empire as they learn of the existence of a new super weapon, the Death Star. Once a possible weakness in its construction is uncovered, the Rebel Alliance must set out on a desperate mission to steal the plans for the Death Star. The future of the entire galaxy now rests upon its success. Living in the world of Alien lately, I decided I wanted to go into something different and watch one more documentary before the end of 2016. With that in mind, I decided on the 2014 documentary/drama Killswitch. Plot/ The Internet is under attack. 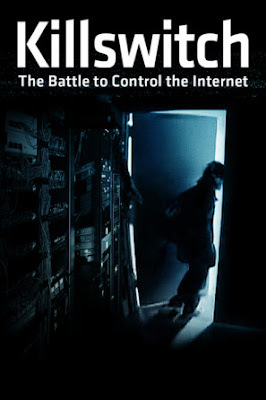 This award-winning documentary explores the threat Internet censorship imposes on free speech, innovation, and democracy. I have taken the past few weeks to revisit some horror/sci-fi franchises and complete reviews on them before the end of the year. 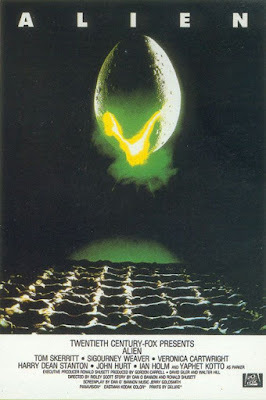 That started with Phantasm, and now I am putting the Alien franchise to bed as I prepare for the new entry in May. The next review is my least favorite of the series, Alien 3 from 1992. Plot/ After her last encounter, Ripley crash-lands on Fiorina Fury 161, a maximum-security prison. When a series of strange and deadly events occur shortly after her arrival, Ripley realizes that she brought along an unwelcome visitor. Here it is, post number 1500 at the Ringmaster's Realm. 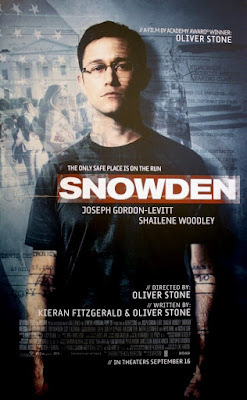 As I said in yesterday’s post, I put a lot of thought into what movie I would review and decided on Snowden from Oliver Stone. To me, this was a very important story that must be told, and there is no one better than Stone to deliver the goods. No matter where you stand on Edward Snowden, he is a hero and should not be subjected to the hatred and ridicule he has faced. In fact, no whistleblower should be treated in this manner and if the United States government was not so corrupt, did not have so much to hide, and did not treat whistleblowers like criminals, this ordeal may not have ever happened. This is a perfect example and a powerful look at the Military Industrial Complex and the globalist community (led by the United States Government) that wants to enslave not only America, but also all of humanity. As I was sitting here last night I realized that I was two posts away from hitting 1500 here on The Ringmaster's Realm and was debating what movie I wanted to review for that post. After some debate, I finally decided on a movie I feel that must be seen and truly embraced. While that movie will be reviewed tomorrow, for tonight, I have the 2016 Rob Zombie flick 31. Plot/ Five carnival workers are kidnapped and held hostage in an abandoned, Hell-like compound where they are forced to participate in a violent game, the goal of which is to survive twelve hours against a gang of sadistic clowns. The holiday season is always a great time to catch up with friends and family, but also a great time to revisit some of the classic horror/sci-fi flicks of the past decades. 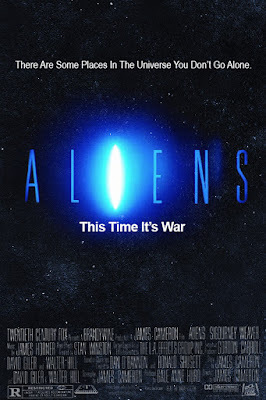 Last night, I finished reviews of the Phantasm franchise, now my plan is to continue with the Alien franchise, with the 1986 sequel Aliens. Plot/ Fifty-seven years after Ripley survived the moon LV-426, all communications with the terraforming colony on the outpost have been lost. The Company enlists Ripley to aid a team of space marines on a rescue mission to the moon to find out if there are aliens or survivors. 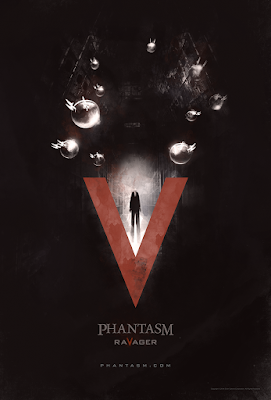 Before I could dive into Phantasm: Ravager, I needed to get back into the series by revisiting the classic Phantasm. When I saw it on Shudder, I was excited to reenter one of my favorite horror films. 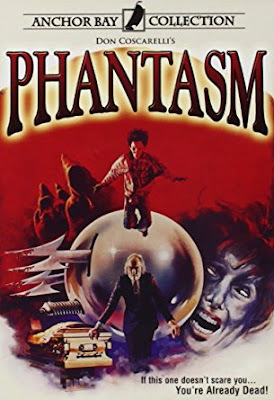 So, without anymore of my babbling here on Christmas Day, the next review it the 1979 low budget classic Phantasm. Plot/ A teenage boy and his friends face off against a mysterious grave robber known only as the Tall Man, who keeps a lethal arsenal of terrible weapons with him. As I settle down for the Christmas Eve adventure, I decided to finish a review on one of the first movies I watched on the new television. In many ways, this flick, while an ending of an era, served to be the perfect movie to start my new television with, because it made me also revisit the source material (which will be reviewed soon-maybe tomorrow). This movie is the 2016 entry Phantasm: Ravager. Plot/ Reggie is wandering through the desert seeking out his friend Mike and the evil The Tall Man. Along his journey; he is hunted down by the dangerous spheres and stumbles upon the gorgeous Dawn. Out of the blue, he finds himself in an institution with Mike explaining that he has dementia and then in another dimension. After spending last night getting caught up on a few of the films that I watched in between trips to Family Video, it is now time to get back into the swing of things. 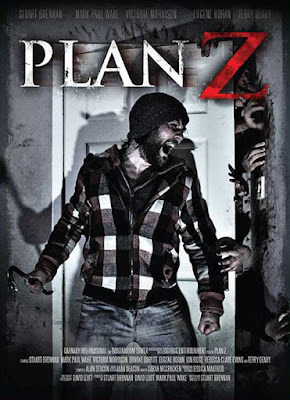 The next movie that falls closer to the horror genre up for review is the 2016 zombie entry Plan Z.
Plot/ One man has a plan for a zombie outbreak, when one occurs it will take all his will to stick to it and all of his courage to change it. Having spent some time with true stories such as Black Mass, I decided to stay with that type of film for one more entry prior to getting back into horror (which is coming with Plan Z, Phantasm V Ravager, and 31). The final true story is the 2014 biopic The Imitation Game. 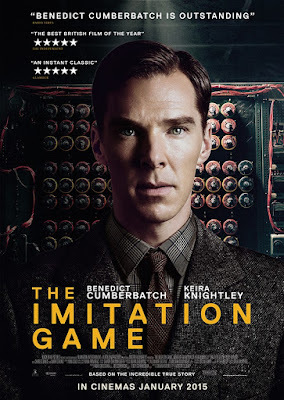 Plot/ Based on the real life story of legendary cryptanalyst Alan Turing, the film portrays the nail-biting race against time by Turing and his brilliant team of code-breakers at Britain's top-secret Government Code and Cypher School at Bletchley Park, during the darkest days of World War II. I know, I know, it seems like I have been taking quite a few breaks from the blog recently (and I have). Why, not quite sure, but I know that the New Year is almost upon us and I am ready to get back into the swing of things. Since my last post, I got a new television, a 60-inch LG LCD (thanks PIA), and now it is time to get rolling. 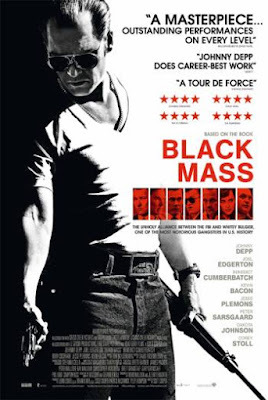 Next up is the 2015 entry Black Mass. Plot/ The true story of Whitey Bulger, the brother of a state senator and the most infamous violent criminal in the history of South Boston, who became an FBI informant to take down a Mafia family invading his turf. With all of the craziness that surrounds us every day, I felt at home watching something based in a dystopian society. Plus, I definitely wanted something different and that is exactly what I found with this one. I imagine this is what Agenda 21 would shape if the future were now. What was that movie? 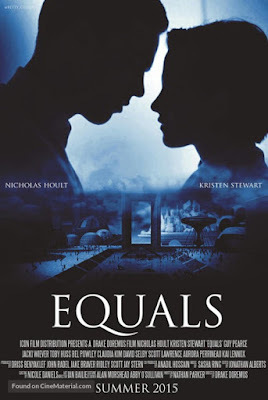 The 2015 Sci-Fi flick Equals. Plot/ In an emotionless utopia, two people fall in love when they regain their feelings from a mysterious disease, causing tensions between them and their society. Being back into the swing of some horror flicks this weekend; I figured that it was time for me to revisit a classic. While at Family Video, I saw the perfect film to fill that void. That movie is the 1979 classic Alien. Plot/ After a space merchant vessel perceives an unknown transmission as distress call; their landing on the source moon finds one of the crew attacked by a mysterious life form. Continuing their journey back to Earth with the attacked crew having recovered and the critter deceased, they soon realize that its life cycle has merely begun.